Planning for a vacation (a foreign trip), you must aware of uncovering some of the facts which are linked to your spending pattern. Most of the traveler using their debit or credit card for payment (its changing world time for plastic money). But have you ever think of commission charges of your bank. In other words, it is said to be ‘Foreign Currency Markup Fee’. While making payment from your credit card in India (no problem), but if you swipe your card in a foreign country to make payment the scenario is different. The payment is made in the foreign currency of the country which brings you to pay additional commission amount (Foreign Currency Markup Fee/conversion charges) to your bank. Which is applicable up to 3.5% plus tax which bring to 4% of your transaction value. What way you spend 4% more on your vacation (maybe you haven’t planned for it). This article is about the best travel card in india, which take care of your conversion charges and you will get rid of it. Thomas cook one of the listing company and the main core business of the company is Travel services. This company realizes the most painful experience every traveler, they design ‘Thomas Cook Travel Prepaid Card’. Forex card is also known as a prepaid card, this card is used as a debit card, which allows the user to send from the card and withdrawn cash (in foreign currency from ATM). No matter which country you are in, use this single prepaid forex card to splurge and pamper yourself, as well as withdraw money from ATMs. This single card holds major nine currency into your hands, which allow you not to worry across the globe. This card empowers you to travel across countries and eliminate cross currency conversion charges which are 4%. Load Nine currency in a single card. Zero effect of currency fluctuation. Get a backup card at zero cost. Another multicurrency card, this card is smart to carry multicurrency benefits in a single card. This card is a good option for a regular traveler abroad. This card also protects the fluctuation of currency rates. Yes, bank multi-currency card loads 15 currency into the single card. The Card is valid for 5 years from the date of issue. The card is insured with the Lost Card Liability & Counterfeit Card Liability with ₹ 5,00,000. I personally Love HDFC Bank and using HDFC Cashback card. HDFC Platinum forex card is another multicurrency card carrying up to 22 currencies simultaneously on a single card at a currency fee of 2%. There is no effect on the fluctuation in currency price. So HDFC Foreign Currency Markup Fee is the lowest in all forex card floating in the market. According to mouthshut.com, the opinion of users, are really not so attractive. IDBI Bank is known as “Industrial Development Bank of India” also take care of the people travel abroad for business or vacation. It allows the user to travel abroad without cash, cheques or credit card. IDBI Global currency card (GCC) will have access to over 1.9 million ATM for cash withdrawal. This card holder empowers 210 countries for purchase and makes payment at 32.9 million merchants. The maximum amount which can be loaded into Global currency card (GCC) is $10,000 per annum for individuals and USD 25,000 per business trip (as prescribed under extant RBI/FEMA regulations). Punjab national bank also introduced their forex card “PNB World travel card”. PNB world travel card loads three currency – (USD, GBP & EURO). Any misuse or loss of card you are cover with US$5000. Mark up on conversion – 2% on tranaction value. The maximum amount of re-loading – USD $ 2,50,000. PNB world travel card valid for 5 years from the date of issue. PNB Global Platinum Credit Card can earn 1 point for every ₹ 100 that they spend shopping at a merchant establishment or earn. They can also earn 2 points for every ₹ 150 that they spend on retail transactions. 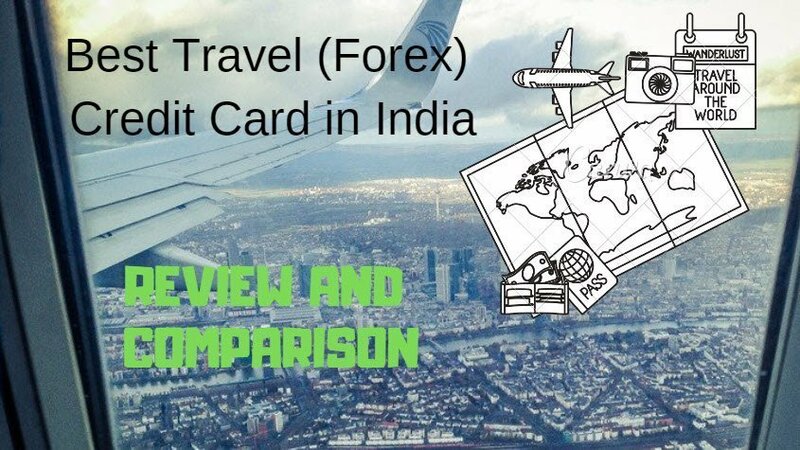 You can use this card for paying in 16 different currency which makes this card one of the best travel card in India. Contactless Forex Card – Visa based card with the new technology of just wave your card above the machine and make payment. Image Forex card – The Axis Bank Multi-Currency Forex card is designed by your own image to choose the option, you can select your favorite image and get your card with that image. Locked-in exchange rates – No effect on exchange rate fluctuation. Your card is insured with ₹ 3 Lacks from Lost and Stolen.